Directory listings of sites offering self-employment training programs in the United kingdom. Advice, articles, and information for UK IT contractors. 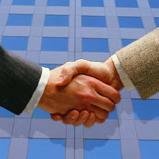 Consultancy Projects - Contract Opportunities. UK Consultants offers a Consultancy Matching Service, designed to match consultants to assignments.